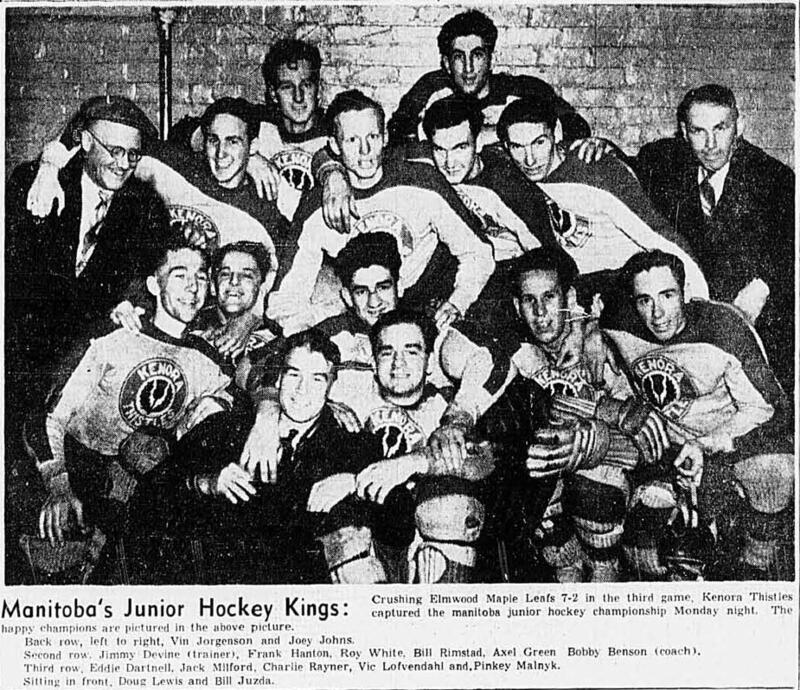 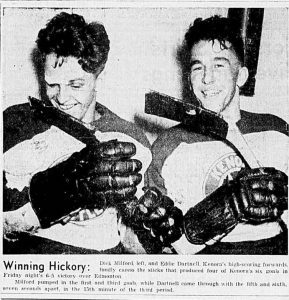 Finishing the 1939-40 season in 2nd place, the Kenora Thistles won the Manitoba Junior Hockey League title defeating the Elmwood Maple Leafs 3 - 0 in the league's best-of-five final. 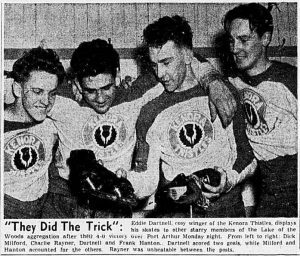 The Thistles would advance to defeat the Edmonton Athletic Club and claim the Abbott Cup earning the right to represent the west in the 1940 Memorial Cup versus the Oshawa Generals. 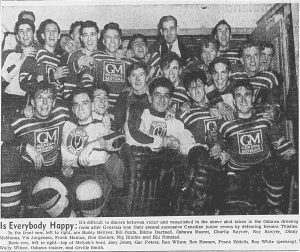 It was the first year that 2 Ontario teams would face off for the Memorial Cup. The best of five series was played in Winnipeg. 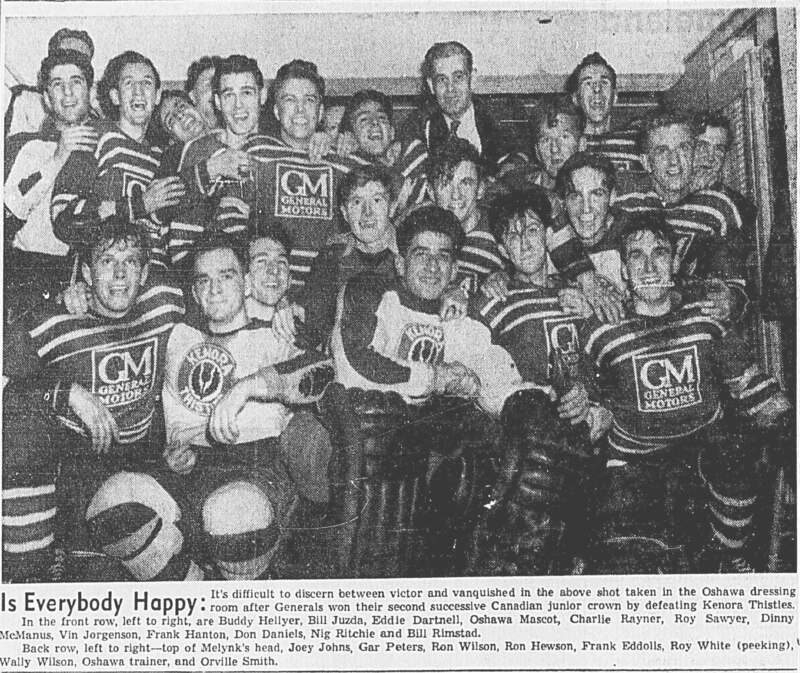 Kenora lost the final in 4 games making the Oshawa Generals the first team to win back to back Memorial Cups.